The requirements for Kentucky FHA loans are set by HUD. Borrowers must have a steady employment history of the last two years within the same industry or line of work. Recent college graduates can use their transcripts to supplant the 2 year work history rule as long as it makes sense. Self-Employed will need a 2 year history of tax returns filed with IRS. They will take a 2 year average. FHA requires a 3.5% down payment. Can be gifted from family member or from retirement savings plan, or money saved-up. 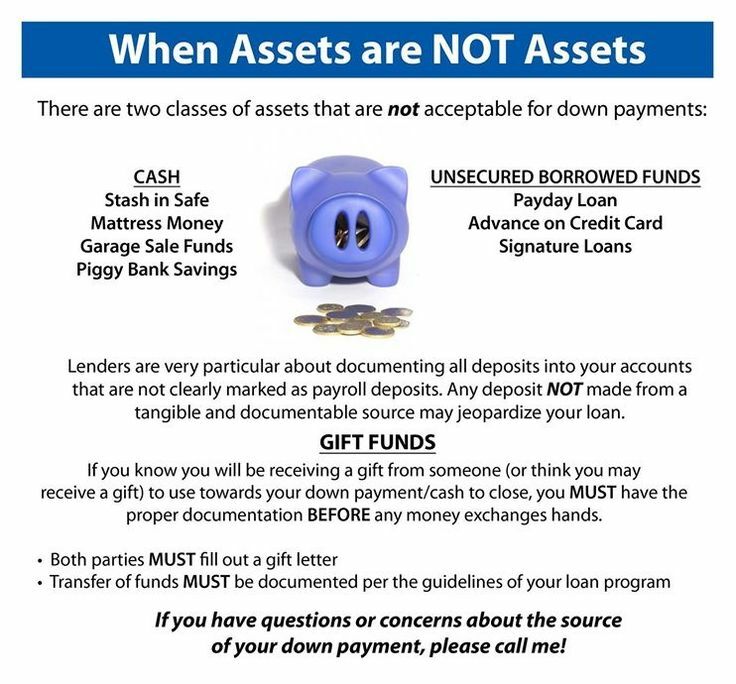 Any type of cash deposits are not allowed for down payments. No exceptions to this rule!! 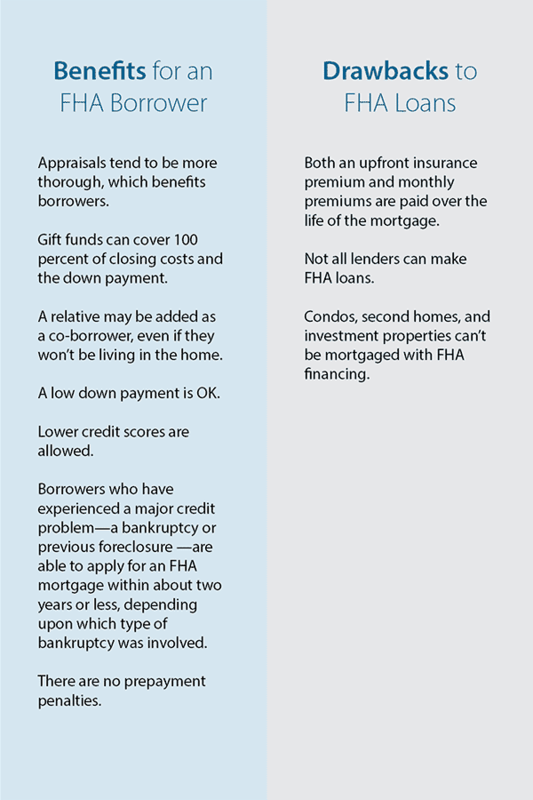 This is one of the biggest issues I see in FHA underwriting nowadays. FHA loans are for primary residence occupancy. Not rental houses. Borrowers must have a property appraisal from a FHA-approved appraiser. Borrowers must have a minimum credit score of 500-579 for maximum LTV of 90 percent with a minimum down payment of 10 percent. Most lenders will not go below 620 score, and very few lenders will go to 580 score. It’s best to work on getting your scores up before you apply or work with a loan officer to improve them. 1 year removed from Chapter 13 is okay with an excellent pay history with the Chapter 13 plan and permission from trustee. You will need to qualify with the Chapter 13 payment along with new house payment. Again, scores will play into your loan pre-approval. Typically borrowers must be three years out of foreclosure and have re-established good credit. Exceptions can be made if there were extenuating circumstances and you’ve improved your credit. If you were unable to sell your home because you had to move to a new area, this does not qualify as an exception to the three-year foreclosure guideline. The property must be appraised by an Kentucky FHA-approved appraiser. The property must be safe, sound and secure, in compliance with minimum property standards as defined by the U.S. Department of Housing and Urban Development, or HUD. You may not have delinquent federal debt or judgments, or debt associated with past FHA loans. Caivrs Alert System will show up if you owe the government money. Most Kentucky Counties will have a max of $314, 827 for 2019 FHA loans made in KY.
To find the Kentucky FHA loan limit for a specific county in Kentucky for 2019, please use the link below. One of the biggest obstacles to buying a home for Americans is the down payment. There was a time when you needed a 20% down payment and a high credit score to buy a home. But in 2018, you can buy a home with average to below average credit and a low down payment in some cases. One of the most popular loan programs for these buyers if the FHA loan. A major advantage of the FHA mortgage loan is you can get approved with only a 3.5% down payment with a 580 or higher credit score. If you have a lower score than that, you need a 10% down payment. Still, there are situations where the borrower is having trouble coming up with the down payment for the loan. What to do then? FHA guidelines do allow other options. Keep reading to learn more. As we note above, you are required to have at least a 3.5% down payment to be approved for an FHA loan. The money must be verified by the FHA-approved lender to come from an ‘approved source.’ What is an approved source, anyway? Most people get their down payment from cash reserves, investments, borrow from 401k or IRA, etc. The idea behind verifying where the money came from is to make sure the borrower did not get the down payment from a credit card or payday loan, etc. But there are other options for your down payment. The funds also can come from a gift. The gift and the giver do need to meet FHA requirements, but this flexible guideline makes it possible to get into an FHA loan with, technically, zero money down. To determine if the down payment gift can be used or not, it is necessary to check HUD rules. According to HUD 41.55.1 Chapter 5 Section B, for the funds to be a gift, there cannot be any expected repayment of the money. Also, FHA will scrutinize the giver of the gift. Chapter 5 of the HUD Code states the cash gift is ok if it comes from your relative; employer or labor union; close friend with a defined interest in you; charitable organization; government agency or public entity. FHA also states who cannot give gift funds to you for the down payment. These are the seller; the real estate agent or broker on the deal; the builder or an associated entity. The gift for your down payment cannot be made based upon paying it back later. You are required to get a gift letter from the person or organization. The letter should state that you are not required to pay the money back. It also should provide the contact information for the borrower, such as name, address, and phone number. Also included should be the bank account from which the funds will be sent. The gift donor should be OK with giving a bank statement with the letter. Also, he or she should ensure that the transfer amount matches what is in the gift letter and what is deposited into your account. FHA rules are very specific on these areas to ensure that the home buying process through FHA is fair and just. But as long as you follow the FHA rules, you should be able to get help with your down payment from a friend or relative. Don’t Have Friends or Family Who Can Help? Not every borrower has friends or family who can give them a gift for their down payment. But HUD lists many government programs spread throughout the country in most states that can offer down payment and closing cost help for certain borrowers. It also is worth checking if your employer and state have employer assisted housing. This program can help people with moderate incomes to get a loan to cover closing costs and down payment. Look up EAH in your state on Google to see what is available. What are the requirements for a FHA loan in Kentucky? Definition of Credit history highlighted in green with text marker. Getting a FHA loan in Kentucky in 2019 you will be confronted with minimum credit score requirements set forth by FHA and the lender. Even though FHA will insure the mortgage loan at a certain credit score, you will see that lenders will create “credit-overlays” to protect their risk and ask for a higher credit score. So keep in mind when you are getting a FHA loan in 2019 some lenders will have higher credit score minimums in addition to the FHA Mortgage Insurance program. For a Kentucky Home buyer wanting to purchase a home or refinance their existing FHA loan, FHA requires a 3.5% down payment and the borrower must have a 580 FICO Credit Score. If the score is below 580, then you would need 10% down and still qualify on a manual underwrite. You must have a FICO score of at least 500 to be eligible for an Kentucky FHA loan. If your FICO score is from 500 to 579, your down payment on the loan is 10 percent of the loan. If your FICO score is 580 or higher, your down payment is only 3.5 percent. If your credit score is less than 580, it may be more cost effective to take the necessary steps to improve your score before taking out the loan, rather than putting the money into a larger down payment. How do they get the credit score: There are three main credit bureaus in the US. Equifax, Experian, and Transunion. The three scores vary but should be relatively close as long as the same creditors are reporting to the same bureaus. Based on my experience with lenders that I deal with in Kentucky on FHA loans, most lenders require 620 middle credit score for consideration for loan approval. How do they get the score: They take the mid score, so if you have a 590 experian, 680 equifax, and 620 transunion, your qualifying score would be 620. If your score is below 620, a manual underwrite is where the AUS (Automated Underwriting System) refers your loan to an human being, and they look at the entire file to see if they can overturn and approve the mortgage loan because the Desktop Underwriting Automated Software could not approve you. With scores below 620, they typically will want to verify your rent history, have no bankruptcies in last two years, and no foreclosures in the last 3 years. If you have had any lates since the bankruptcy this will probably result in a denial on a refer manual underwrite file. Your max house payment will be set at 31% of your gross monthly income, and your new house payment plus the bills you are paying on the credit report cannot be more than 43%. Typically, on scores below 620 for FHA loans, they will also look at reserves or money you have saved-up after the loan is made to try and qualify you. For example, if you have a 401k or savings account that have at least 4 months reserves (take your mortgage payment x 4) and this would equal your reserves. They look at this as a rainy day fund and could help you keep up on your bills if you were unemployed or could not work. Maximum FHA loan limits in Kentucky are set around $314,500 and below. If you are looking to take a FHA loan in 2019 to buy or refinance a home in Kentucky, please contact me below with your questions about the credit score requirements and how they affect your loan approval. What credit score do you need to qualify for a Kentucky mortgage loan? The first thing to keep in mind is that qualifying for a mortgage involves a lot more than just a credit score. While your FICO score is a very important ingredient, it is just one factor. Lenders also look at your income and level of debt, among other things. As a rule of thumb, however, a credit score below 620 will make buying a home very difficult. A FICO score below 620 is considered sub-prime. In the past there were mortgage companies that specialized in sub-prime mortgages. Because of the challenges in the credit market over the last year or so, however, sub-prime loans have become difficult if not impossible to obtain. A FICO score between 600 and 640 is considered fair to good credit. But keep in mind, this range of credit scores does not guarantee you will qualify for a mortgage, and if you do qualify, it won’t get you the lowest interest rate possible. Still, to buy a home aim for a score of at least 620, recognizing that other factors weigh in the decision and that some banks may require a higher score. What credit score do you need to get a low rate mortgage? lenders will pull what they call a “tri-merge” credit report which will show three different fico scores from Transunion, Equifax, and Experian. The lenders will throw out the high and low score and take the “middle score.” For example, if you had a 614, 610, and 629 score from the three main credit bureaus, your qualifying score would be 614. Most lenders will want at least two scores. So if you only have one score, you may not qualify. Lenders will have to pull their own credit report and scores so if you had it ran somewhere else or saw it on a website or credit card you may own, it will not matter to the lender, because they have to use their own credit report and scores. Lastly, lenders will pull your credit report for free nowadays so this should not be a big deal as long as your scores are high enough. offered by FHA, VA, USDA, Fannie Mae, and KHC all have their minimum fico score requirements and lenders will create overlays in addition to what the Government agencies will accept, so even if on paper FHA says they will go down to 580 or 500 in some cases on fico scores, very few lenders will go below the 620 threshold. The view and opinions stated on this website belong solely to the authors, and are intended for informational purposes only. The posted information does not guarantee approval, nor does it comprise full underwriting guidelines. This does not represent being part of a government agency. The views expressed on this post are mine and do not necessarily reflect the view of my employer. Not all products or services mentioned on this site may fit all people. NMLS ID# 57916, (www.nmlsconsumeraccess.org). USDA Mortgage loans only offered in Kentucky. FHA Announces Important Guideline Changes. Mortgagee Letter 2012-3 announces several key guideline changes on topics of self-employment, disputed credit, outstanding collections and identity of interest definitions. These changes are good from the perspective that they offer much clearer underwriting requirements on several key topics so not as much is left to interpretation or opinion. All of these changes are effective for cases assigned on and after April 1st. New Requirement for AUS Approve/Accept & Manual Underwriting: A P&L and Balance Sheet is required if more than a calendar quarter has elapsed since date of most recent calendar or fiscal-year end tax return was filed by the borrower – with no exceptions. Additionally, if income used to qualify the borrower exceeds the two year average of tax returns, an audited P&L or signed quarterly tax returns obtained from IRS are required. • Disputed credit accounts or collections are aged two years from date of last activity as indicated on the most recent credit report. If the borrower has individual or multiple disputed credit accounts or collections with singular or cumulative balances equal to or greater than $1,000, the accounts must be resolved (e.g. payment arrangements with a minimum three months of verified payments made as agreed) or paid in full, prior to, or at the time of closing. The payments arranged for the accounts must be included in the calculation of the borrower’s debt-to-income ratios. Disputed credit accounts or collections resulting from identity theft, credit card theft, or of unauthorized use, etc., will be excluded from the $1,000 limit under the terms shown below. The mortgagee must provide a credit report or letter from the creditor, or other appropriate documentation, to support that the borrower filed an identity theft or police report to dispute the fraudulent charges. Mortgagees must provide documentation in the case binder to show all disputed or collection accounts are resolved, verified as not a debt to the borrower, arrangements made for payment, or paid in full. New Requirement: If the total outstanding balance of all collection accounts is equal to or greater than $1,000 the borrower must resolve the accounts (e.g. entered into payment arrangements with minimum three months verified payments- paid as agreed) or paid in full at the time of, or prior to closing. If the total outstanding balance of all collection accounts is less than $1,000, the borrower is not required to pay off the collection accounts as a condition of mortgage approval. Note: Paying “down” of balances on disputed accounts and collections to reduce the singular or cumulative balance to below $1,000, is not an acceptable resolution of accounts. An exception to the payoff of a court-ordered judgment may be made if the borrower has an agreement with the creditor to make regular and timely payments, and provides documentation indicating that a minimum of three months payments have been made according to the agreement. The monthly payment must be included in the borrower’s debt-to-income ratio. New Requirement: The definition of a family member for establishing “identity of interest” purposes has been expanded to include a child, parent, grandparent, spouse, legally adopted son or daughter, including a child who is placed with the borrower by an authorized agency for legal adoption, foster child, brother, stepbrother, sister, stepsister, uncle, and aunt. Please be sure to read the Mortgagee Letter in its entirety.